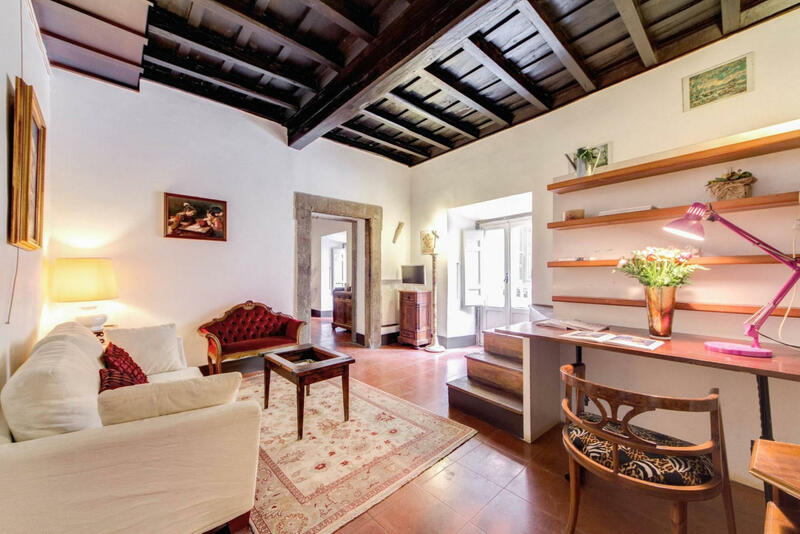 .Campo dei Fiori Stunning and Quiet is an accommodation situated in Rome, 300 metres from Synagogue, and same distance to Trastevere, the best lively district in Rome. Free Wifi is available. This air-conditioned apartment comes with 2 bedrooms, and livable loft space with queensizebed, a flat-screen Tv, a dining area, a kitchenette and a living room. Piazza Navona and Pantheon are 500 metres from the apartment. 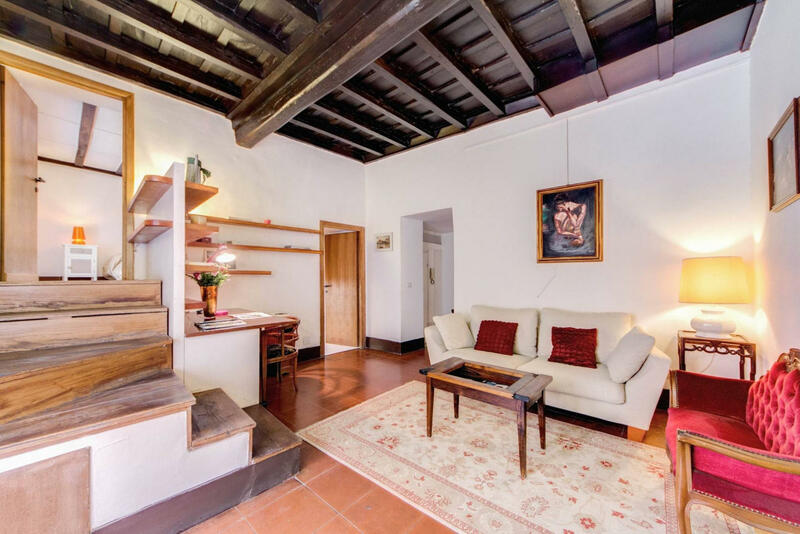 Nice apartment of 85sqm in the most fascinating area of Rome where Campo dei Fiori joins the Jewish Ghetto district, the most trendy city center. The property is on the first floor of a particular building, overlooking a small square that makes the house lighting. The apartment consists of a small entrance that overlooks the lounge area with a large living room, it fornitures with sofa, desk and Tv library. this links through an ancient wall into the dining room with a large refectory table, kitchen with washing machine. From the living room are just a few steps through the two bedrooms the masterbed with queensize and tthe other with 2 beds which if necessary can be combined to form a second double bed. There is a cute bath fully equipped with shower unit. The property includes a nice loft space where is placed a large bed with bedside tables. There is a very large space for the pantry too. i am outgoing and friendly, i'll do my best to support my guests. 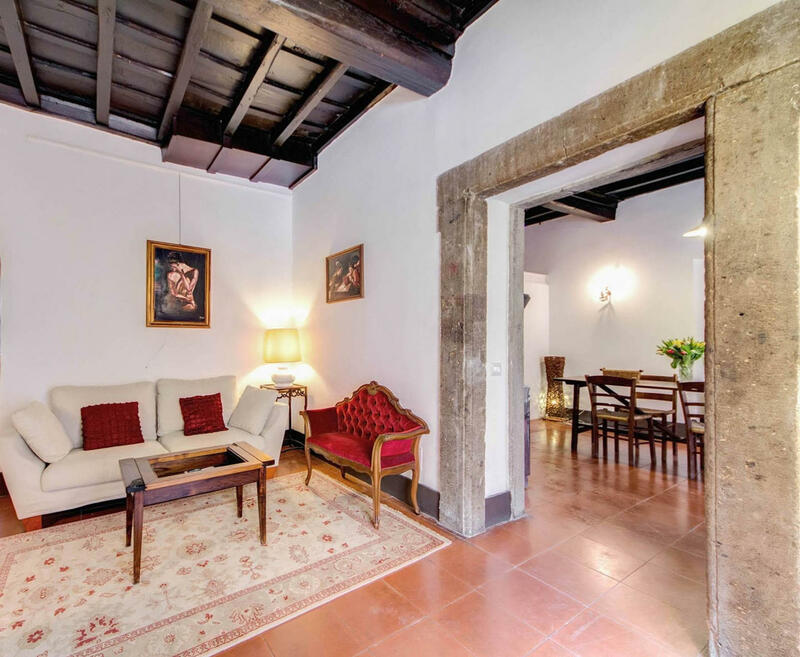 Location is unbeatable, Campo dei Fiori with its amazing Open Market is just 200 meters The apartment faces on quiet place with nice church, it is close to everything, all attractions are within walking distance. Conveniently located near bus stops which take you directly to Vatican and all best monuments, Bike sharing is great option to move in Rome.